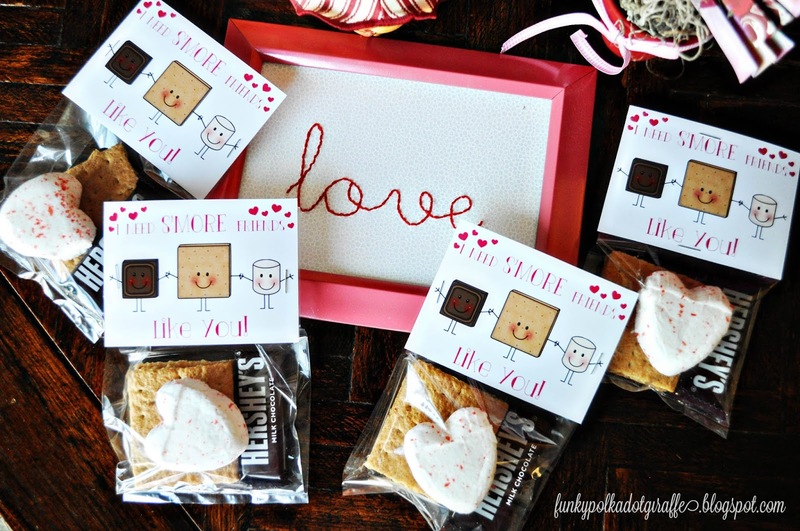 Juice Box valentines, and my favorite, MUAH! Big Red Chocolate Lip valentines! and so I decided to take the challenge and make one! 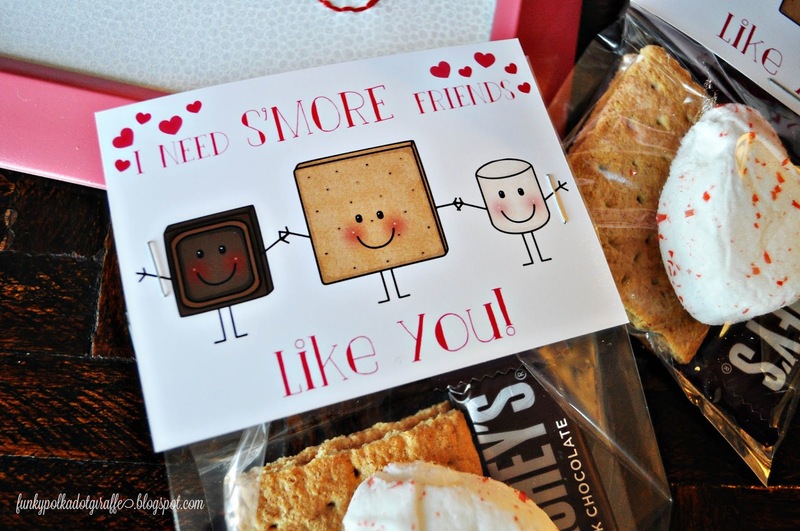 so that they really could make s'more if you wanted to! 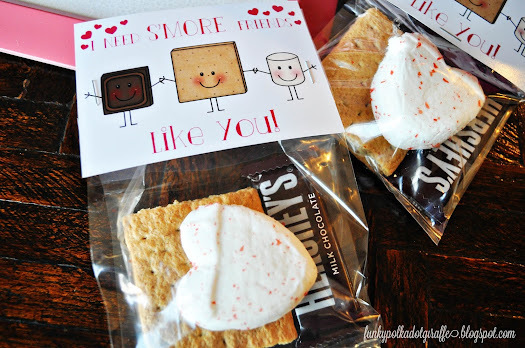 to make a heart impression in the big square marshmallows. I think it turned out adorable! were the perfect touch to let your friends know how much they mean to you. try and shop local, that never seems to work for me very well. 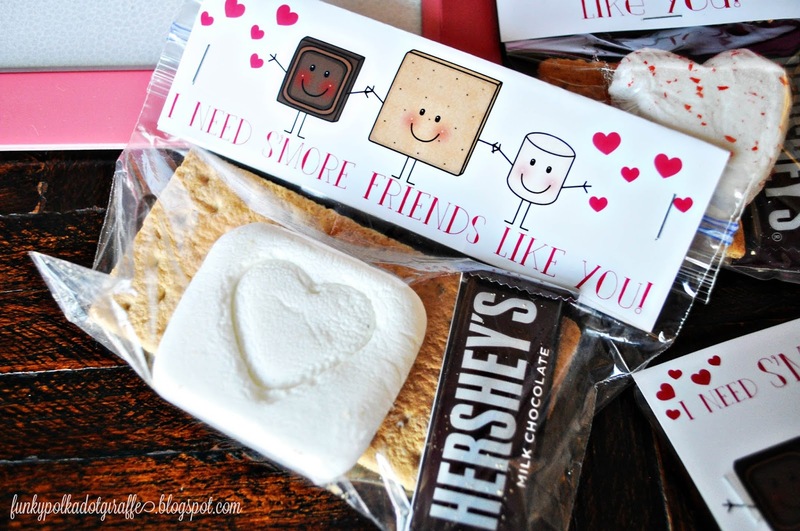 and print and make some cute (and yummy!) 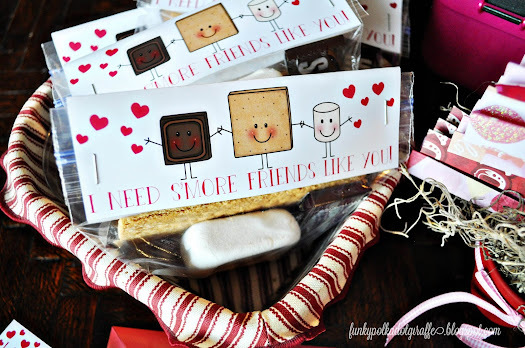 valentines for your friends! 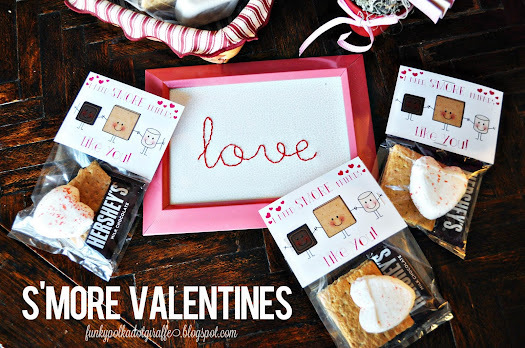 Be sure to check out my other handmade valentine ideas and printables! of them is your favorite! Happy Valentine's Day from Funky PolkaDot Giraffe!